Stuck in the middle seat again? Or maybe you have the aisle and your elbow sneaks out into the walkway, putting it right in the way of the beverage cart – ouch! - or those on their way to or from the restroom. Seats on the plane seem to be getting smaller and smaller, so you have less and less room each time you travel. If you fly with a spouse or friend, it’s not a big deal if you invade each other’s space. If you’re flying alone or have that aisle seat issue, you probably feel like there’s no place to put your arms and you don’t have an armrest to yourself. You might want to cross your arms and take a nap, but when you fall asleep, they flop around, making you uncomfortable again. This was the problem that resulted in the NapWrap. 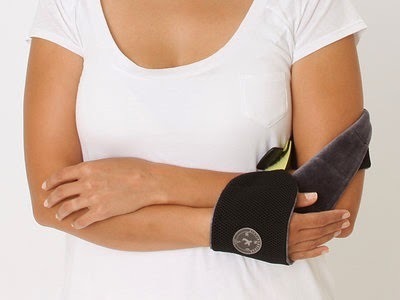 It’s a convenient little wrap that helps to keep your arms crossed, without giving you achy joints, for as long as you need to. You don’t have to make the continual effort to keep your arms in position, plus the fabric is breathable, so it doesn’t make your arm or hand all sweaty. It’s also stretchy, which means people of all sizes can wear it and it fits over sleeves. Though it can be a little tricky to work at first, once you have the hang of it, it’s super easy to use. There’s this handy video to help. Of course, I’m not one to buy something that has just one use, even though the NapWrap is very comfortable and does exactly what it’s meant to do, it isn’t just a cool arm holder that you twist your hand into. 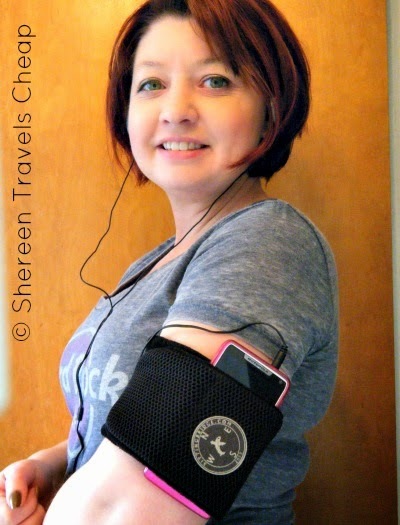 It can also be used as an armband that holds your phone or MP3 player, so you can listen to your music. 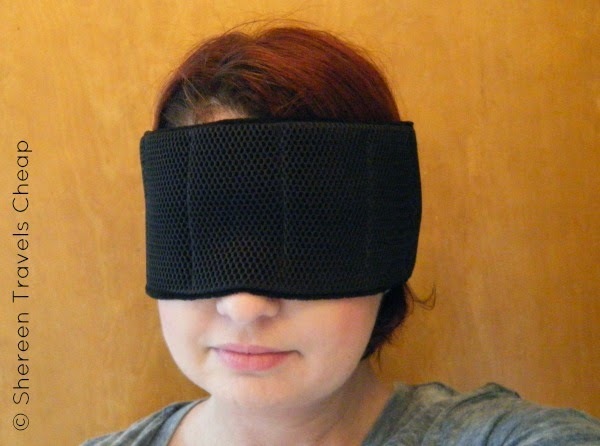 Another great thing you can use your NapWrap for is an eye mask. I usually pack one of those in my bag when I travel, because you never know if you will be sleeping in a room that has inadequate curtains (where you’re woken up at 5 am with light right in your eye) or you just need a little extra help falling and staying asleep. 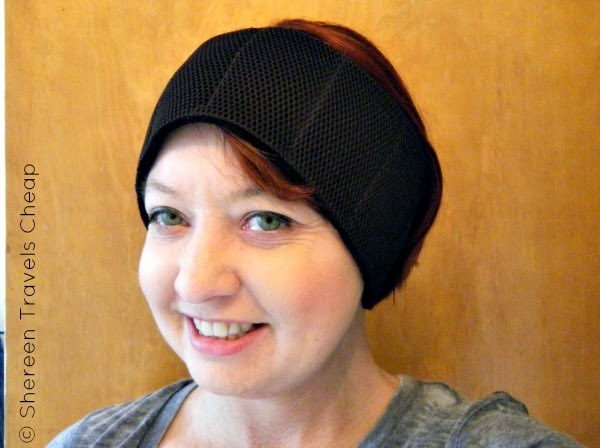 The NapWrap is adjustable and also covers your ears, muffling noises that might be keeping you awake as well. 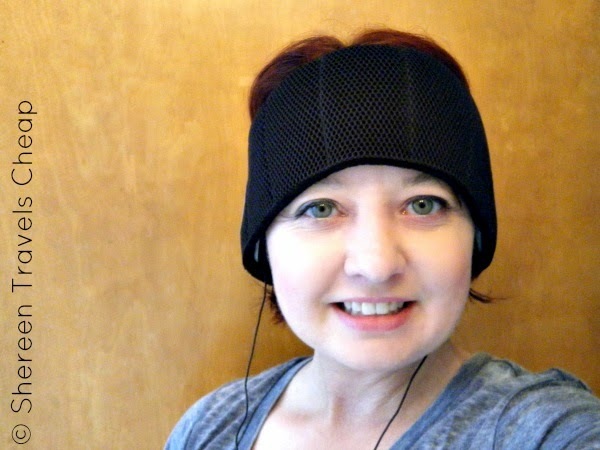 And if your destination is cold, use it as a headband that covers and protects your ears. It’s way better than also packing a pair of earmuffs. Even if you carry more than one with you, they still pack flat and take up almost no room in your bag – less if you wear it on your arm as you are commuting through the airport. So, if you have issues with sharing armrests with strangers, having a place to put your phone, sleeping when it’s not pitch black in your room or need to keep your ears warm, then the NapWrap should be on your list of must-have travel items. Disclosure: I was provided with the NapWrap for the purpose of this review, but all opinions are 100% my own.